WELCOME TO THE VALENTINE PTA! 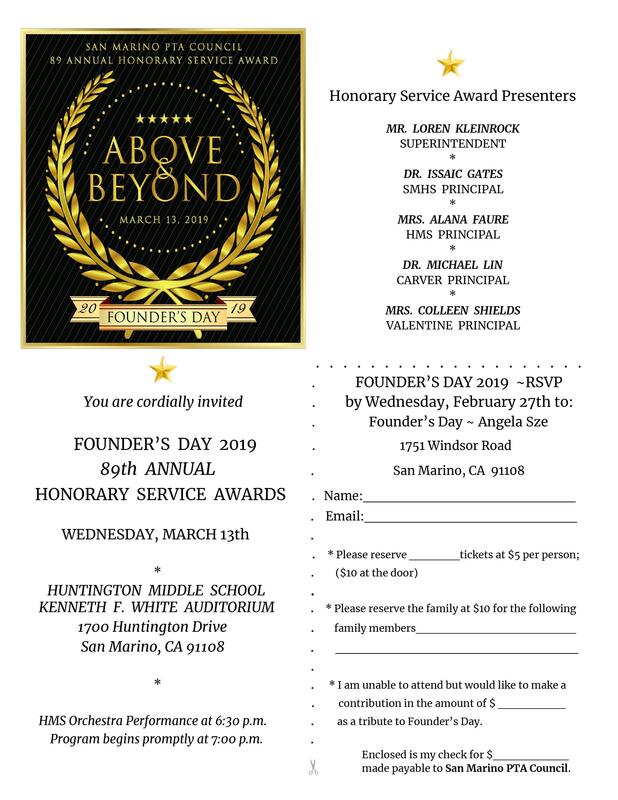 The 89th annual PTA Council Founder's Day Awards Ceremony, titled "Above and Beyond" will be held Wednesday, March 13, 2019, at 7 p.m. in the Huntington Middle School Auditorium. Co-Chairs Darbin Chan and Belinda Hwang invite the community to attend and celebrate the district's Honorary Service Award recipients, who are selected from each school site and council level. Tickets will be $5 per person with early RSVP invites and $10 at the door. Any questions, please contact Darbin Chan, darbinchanfoundersday@gmail.com or Belinda Hwang, belindahwangfoundersday@gmail.com. Valentine PTA supports a variety of programs and services to enhance the education of every child. PTA plans to continue to support our school's Art, STEM, Music, and Library programs as well as several of our instructional aides. By joining Valentine PTA, you will get to enjoy interacting with students, make new friendships with other parents, and accomplish things that truly make a difference. We have many ways in which parents, grandparents, family members, and local businesses can contribute to the Valentine community. 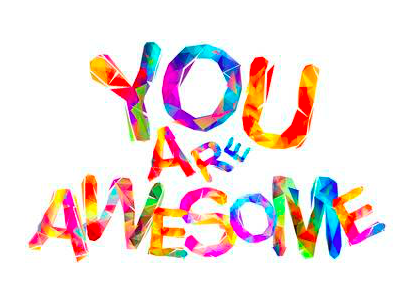 We promise that the time you give to the PTA and the school will be worth your while—and fun! The more you engage with the school community, the more rewarding your experience at Valentine will be. ART – Each class attends regularly scheduled art lessons with a specialist and art supplies funded by the Valentine PTA. Students have the opportunity to participate in the National PTA Reflections art program. In the spring, an Art Festival showcases student artwork for family viewing. MUSIC – Each class attends regularly scheduled music lessons with a Music Teacher and instruments funded by the Valentine PTA. Choir and Band are available to students, led by a music specialist. Students perform in the annual Holiday Performance, Spring Music Performances, May Day Program, and an optional talent show at the Fall Fair. STEM – Each Each class attends regularly scheduled lessons in the STEM Lab (Science, Technology, Engineering and Math) with a specialist. New classroom furniture and supplies funded by Valentine PTA. TECHNOLOGY - Valentine PTA funds classroom technology equipment, which include iPads and Chromebooks. LIBRARY – Classes regularly attend the library and students can visit during lunch and before school on scheduled open library days. Valentine PTA funds the librarian, classroom subscriptions, new books and magazines. CLASSROOM SUPPORT – Valentine PTA funds a Teacher Wish List, monies collected through the First Day Pack Online Registration. These monies are divided among the classrooms for educational supplies. Other classroom supports funded by PTA include Curriculum Lab fees, 5th grade reading trophies, Computer, and P.E. equipment. 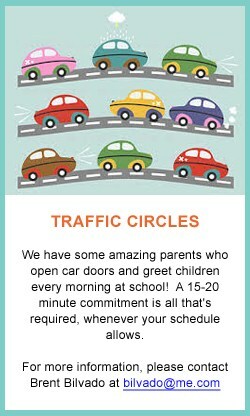 Room parents also support teachers with many activities throughout the year. Congratulations to our Honorary Service Award Recipients! ELLEN TSANG, ZARANA PATEL, AND MICHIKO LEE! 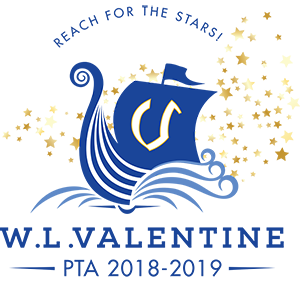 Please join us in honoring and recognizing their volunteer service to our school, PTA, and community on Wednesday, March 13th at Huntington Middle School Auditorium at 7 PM. 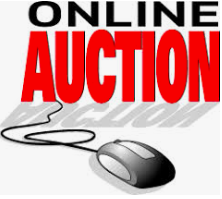 Don't miss our fabulous Parent Parent Online Auction opens on February 26th at 7:00PM and ends on March 7th. Our school counselor, Stacey Beavers, shared information at our PTA General Meeting on how many young people feel very strongly that they want to be like all their friends. 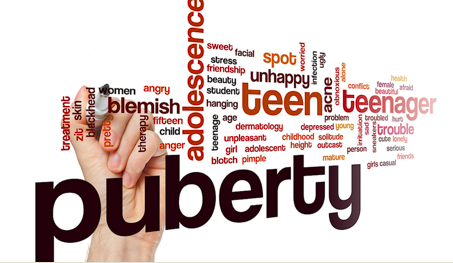 Peer group pressure can be a supportive and positive, or a negative influence on the behavior of the people in the group. Click here to access the full presentation. Shade Structure & Turf Complete! A huge thank you to our PTA for raising funds to support this awesome school improvement project and to Zarana Patel & Michiko Lee, PTA Presidents, for the many hours you have dedicated to making this all possible for our children! 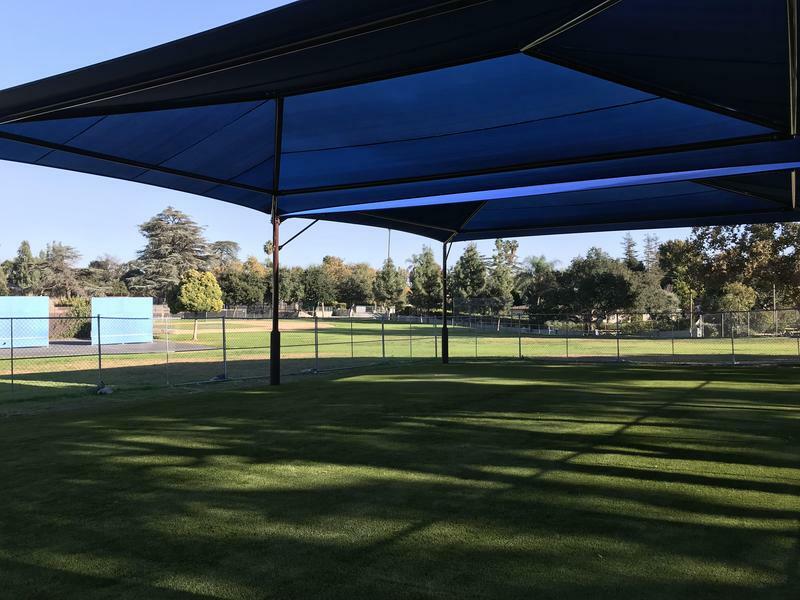 The first day our students had access to our new turf and shade structure it was more exciting than a new ride at Disneyland! 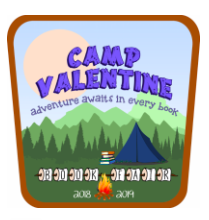 BOOK FAIR -- "Camp Valentine"
Hike on in to Camp Valentine and start your adventure with a good book! Mark your calendars for this fantastic annual event.